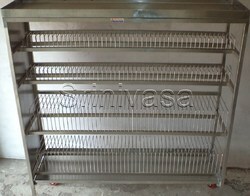 Leading Manufacturer of ss commercial kitchen racks and ss plate rack from Pune. We are a prominent organization, which is engaged in manufacturing and supplying a wide range of high-grade SS Commercial Kitchen Racks. The offered array of kitchen racks is manufactured by our experts in accordance with the international quality standards. In addition to this, to meet the exact requirements of the customers, we are offering these kitchen racks in different sizes and designs. You can use our Kitchen Racks as Storage Racks. We are one of the leading firms that are engaged in manufacturing and supplying a comprehensive range of premium quality SS Plate Rack. 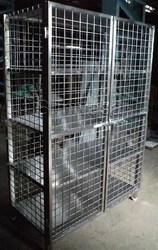 These plate racks are manufactured using optimum grade steel and latest technology.